Cassia powder obtained from Cassia tora is a well-known herb that is been found throughout India as well as other countries. It is a rich source of anthraquinone glycosides, also widely been used against different diseases. There are various chemical compounds been isolated with the cassia gum powder having various pharmacological activities such as anti-inflammatory, antigenotoxic, hypolipidemic, spasmogenic and antinociceptive, antiproliferative and many more. Cassia powder contains hydroxychalcone as well as other similar chemicals that is been used to improve insulin sensitivity. Methanol extracts of cassia flower help to activate blood proteins as well as improves the sugar level in the blood. Ethanolic extracts of cassia roots helped for renal injury in animals. Cassia Powder showed a significant antibacterial activity against Bacillus subtilis, Staphylococcus aureus, Enterococcus faecalis and many more. It has a strong antioxidant activity that is stronger as compared to Alphatocopherol. It also plays an important role in the food industry; it has 75% polysaccharides in weight. In the food industry, it is been used as emulsifiers, thickeners and stabilizer additives. It goes through a thermal treatment that involves de-husking and de-germing of the Cassia seeds. Later, by the extraction method, the seeds are been purified by applying Isopropanol. Splits of cassia consist of galactose and mannose units which are been used as additives in food. Cassia Gum powder has many applications in the food industry as well as pharmacology. Generally, it is been used in food as it gives a spicy aroma and great taste to human foodstuff. 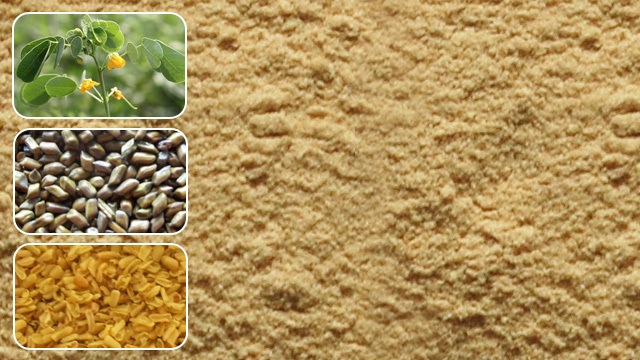 Research shows that the cassia gum powder is widely been used in different industries. 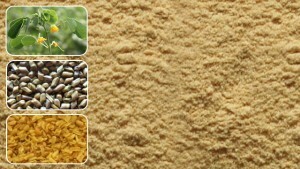 Considering the increase in the demand of cassia gum powder, Agrogum provides you the high-quality cassia gum powder. We offer with the quality product, as our product samples are been tested by well-experienced scientist, once approved then further goes for processing and final packaging of the product. Besides, we are also the exporter of guar gum powder, guar gum split, guar meal, fast hydration guar gum powder, cassia tora seed, cassia tora split, and sesbania gum powder. These products are widely used in different industries that include food, textile, pharmaceutical and cosmetic, oil and gas, paper, mining, and much more industry. How are Hydrocolloids being used for Improving Food Quality?